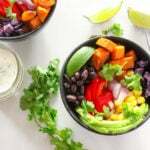 This Mexican Buddha Bowl with Cilantro Lime Sauce brings together taco-seasoned sweet potatoes, corn, avocado, red peppers and red onion, with a garlicky, creamy cilantro lime sauce. It’s delicious! 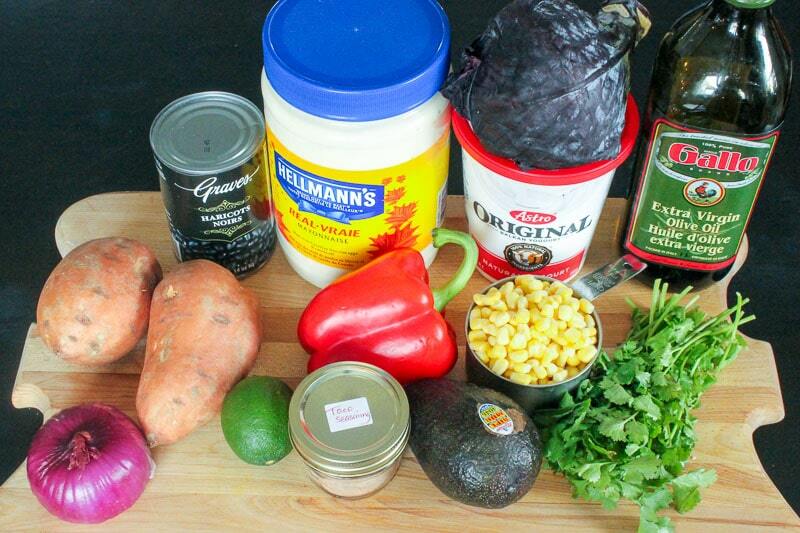 Perfect for Cinco de Mayo, Meatless Monday (or Taco Tuesday! ), or just regular days when you want a clean eating (easy to prep) meal. It’s almost Cinco de Mayo again friends! And while I love Mexican-inspired food at any time of year, it’s feels a little extra special right now. 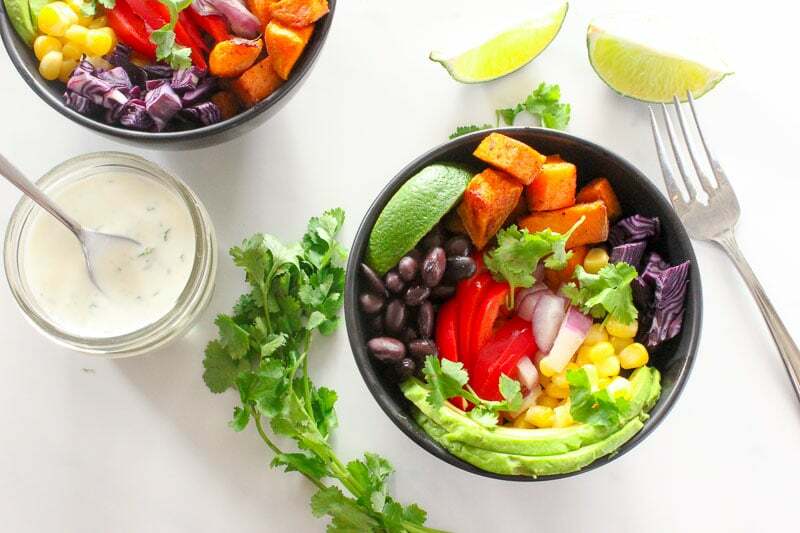 This recipe for Mexican Buddha Bowls with Cilantro Lime Sauce is going to be in our meal rotation year round, though. It’s SUPER healthy, packed with lots of nutritional powerhouse foods, like sweet potatoes, black beans, avocado and red peppers. There’s no meat in my recipe, but you could certainly add some chicken or steak if you want to – I’m sure it would be delicious! 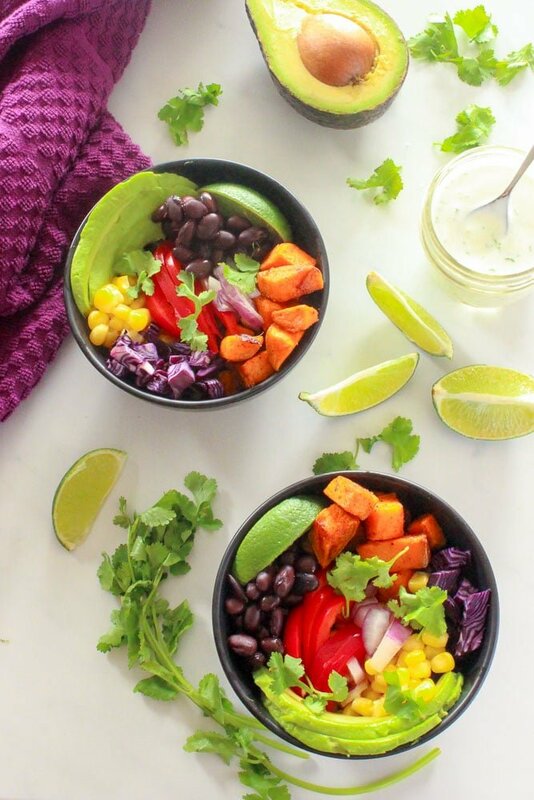 I love how versatile this Mexican Buddha Bowl is – if you’re vegetarian, it’s perfect. 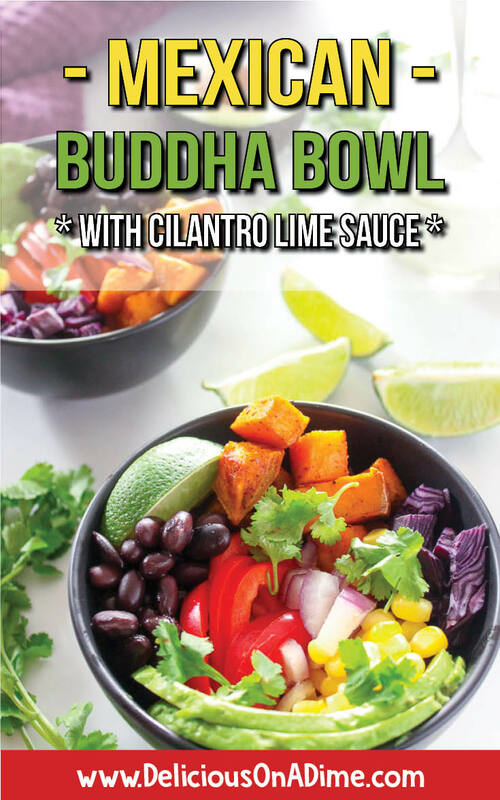 Even if you’re vegan or allergic to dairy you could just switch up the sauce and bam – vegan Mexican Buddha Bowl. It’s even gluten free! 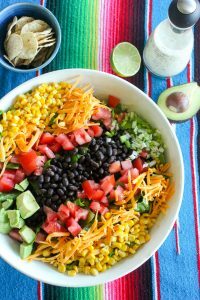 The beans make it super filling, and the cilantro lime sauce is garlicky and so flavourful and brings the whole bowl together. You won’t be able to stop eating it! Finally, if you’re into clean eating, or trying to accomplish meal prep on the weekends, this recipe is an easy way to do both. It calls for taco seasoning, but we make ours from scratch (so no weird ingredients and it takes less than 5 minutes!) and keep it in the cupboard for when we want to use it. And you can definitely roast your sweet potatoes ahead of time and chop the other vegetables – then throw this bowl together in minutes, for a quick weeknight dinner or easy lunch. Preheat oven to 425 degrees F before starting. 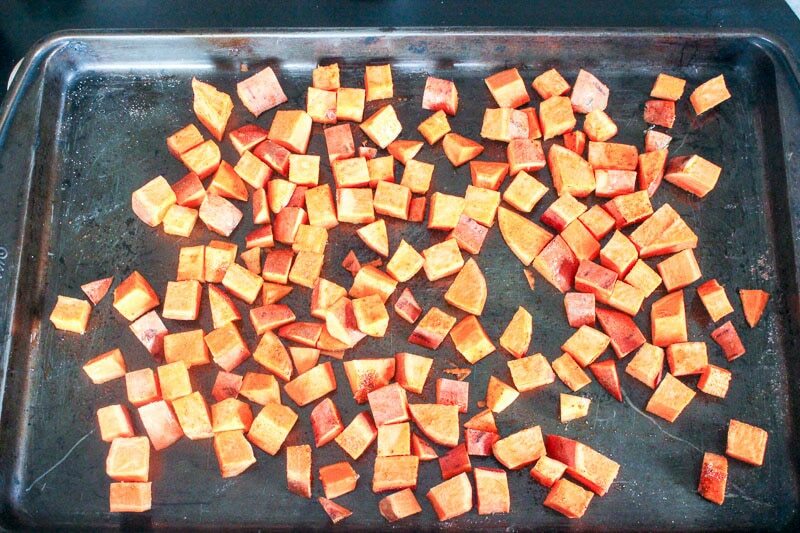 Wash and cut 2 sweet potatoes into chunks, spread on a sheet pan, and drizzle with your preferred oil (I like olive oil or avocado oil). 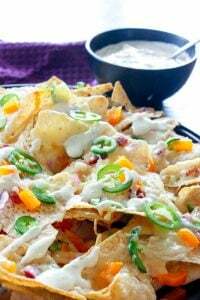 Sprinkle with 1.5 teaspoons of taco seasoning (check out our easy homemade version! ), toss together, and bake in preheated oven for around 20 minutes, tossing half way through so the cubes cook evenly. 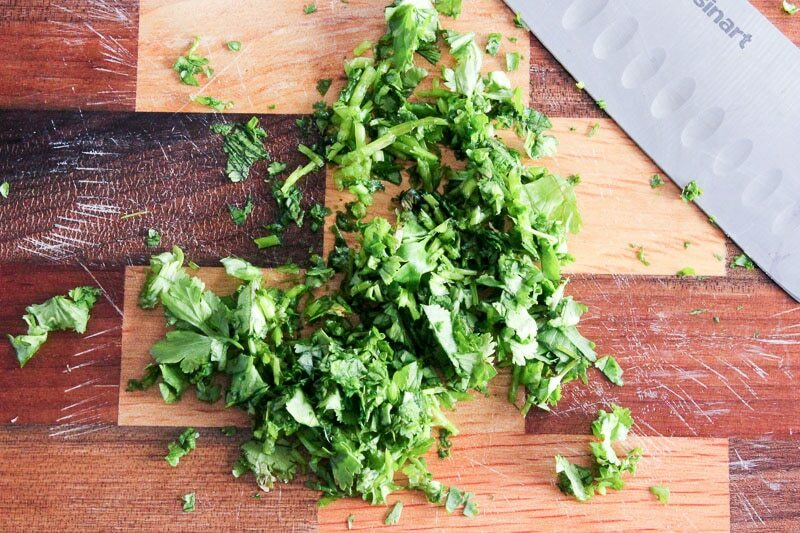 While sweet potatoes are baking, wash cilantro, chop off the big stems and mince the leaves finely – you’ll need about 2 tablespoons (I wasn’t done mincing when I took this photo). A chef’s knife makes this a really easy and fast task. 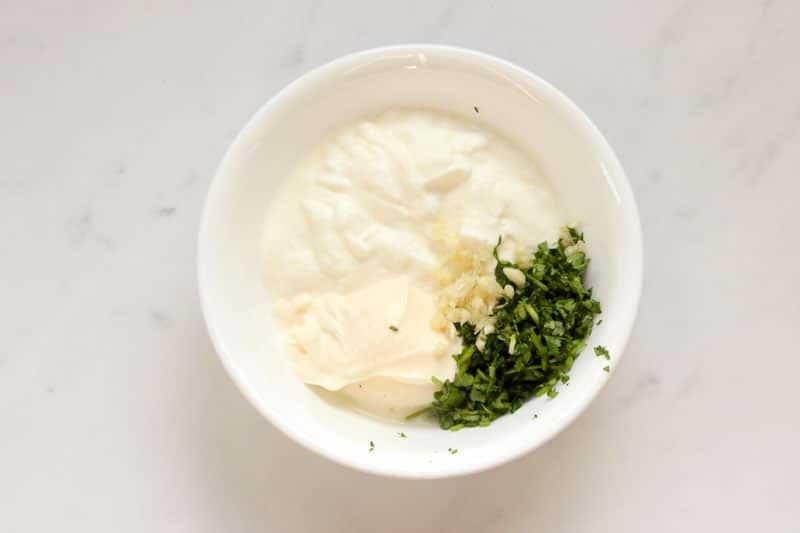 In a small bowl, combine 1/2 cup of plain yogurt, 1/4 cup of mayo, 1 minced clove of garlic, the 2 tablespoons of cilantro you minced a minute ago, 1 teaspoon of fresh lime juice and 1/8 teaspoon of salt. Stir well to combine and set aside to let flavours blend. Cook 1 cup of frozen corn in the microwave, according to package directions (or use canned corn, if you’d rather), rinse and drain one 14-oz can of black beans, chop 1/4 cup of red cabbage (optional but pretty and healthy), slice 1/2 a red pepper into thin slices, mince 2 tablespoons of red onion (if you find the taste too strong, you can soak it in cold water for a few minutes, then drain it), slice 1/2 an avocado, slice the remaining lime into wedges and pull some more washed cilantro leaves off the stalks. Once your sweet potatoes are cooked (I like mine to still be a bit firm – not mushy), you can either cool them completely and store everything as easy meal prep for future meals (if you do this, you might want to slice your avocado at the last minute), OR, assemble your bowls! Just pile a little bit of each ingredient into the bowl – no need to be picky about location, unless you want it to look pretty (which I always do, haha). Drizzle with cilantro lime sauce, sprinkle with fresh cilantro, and give it a little squeeze of fresh lime juice over the top. 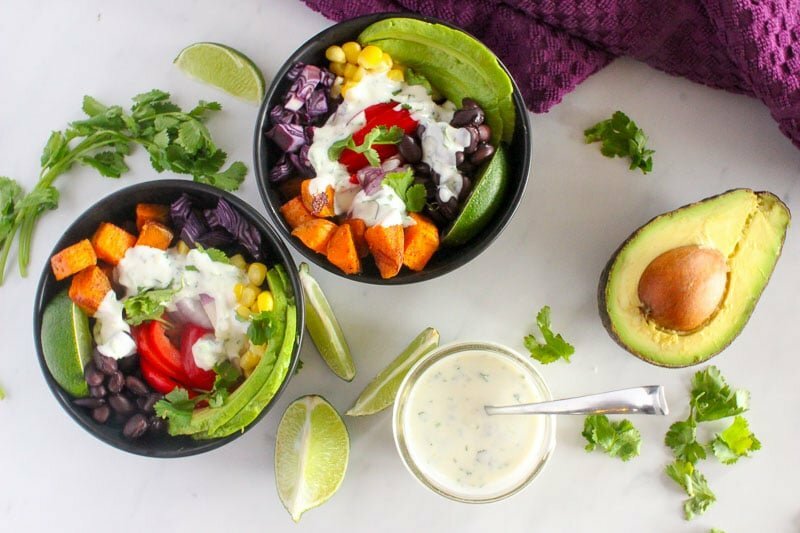 While there don’t seem to be any strict rules about what goes into a Buddha Bowl, they are typically healthy bowls packed with vegetables, protein, and sometimes grains, drizzled with a delicious sauce. If you spend any time on Pinterest or Instagram, you’ve likely encountered more than a few of them. On social media, at least, they’re usually gorgeous. 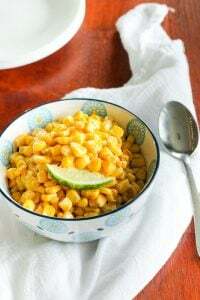 According to an online article by Bon Appetit, the term was probably coined by Martha Stewart when she released her vegetarian cookbook Meatless. The bowls are often, but not always, vegan or vegetarian, but almost exclusively healthy. Most Buddha Bowls use a combination of raw and cooked vegetables, and most of the work can be done ahead of time, which makes them perfect for healthy meal prep for the week. If you like to spend a few hours on Sunday chopping vegetables and pre-cooking ingredients for the week, you should definitely give buddha bowls a try. Almost all the ingredients can be prepped ahead and then assembled later for healthy, fast, easy weeknight dinners or work lunches. 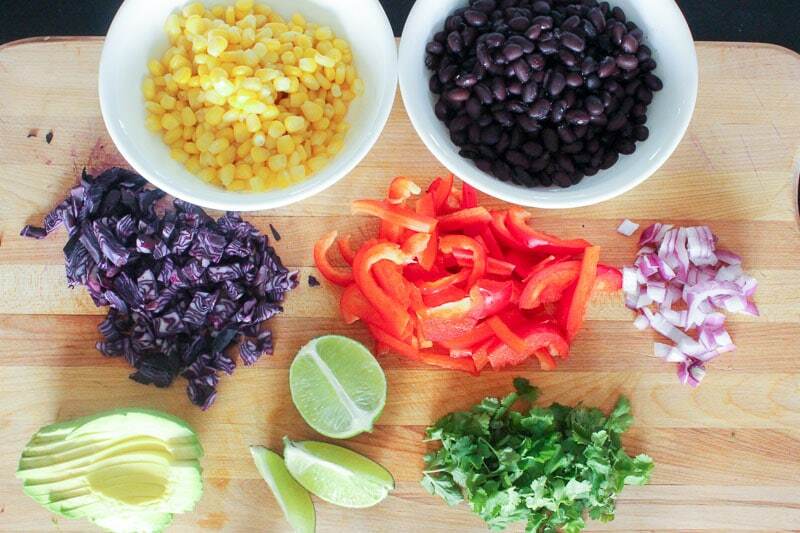 Give our Mexican Buddha Bowl recipe a try, to get a feel for it.